The way you carry yourself and how you speak to others directly affect your results and career progression. For years, this has been talked, written and trained about in both sales and personal development settings. Unfortunately, many people still do not get it. The image that people have in their mind of you is the reality by which they will operate (and judge you), and once it is set, it becomes difficult to change. It is a hard road to climb up in people estimation, but it is a quick easy slide down. It does not matter if you are in sales, accounting or IT, if you take your career seriously, then you are in Sales. You are selling yourself, and your skills, to management, coworkers and clients. This series will give you some ideas that on how you should present and conduct yourself when interacting with others in a business situation. It really does not matter with whom you are dealing with, as building strong images in other people’s minds about yourself is critical for long-term career growth. 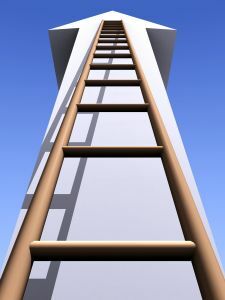 We do not work in a vacuum, and we need others to support our climb up the ladders of success. The suggestions that will be covered over the next several parts are not unique. I have read or heard them time and time again in multiple books and lectures and they work. I have included what I perceive are some of the most impactful recommendations and have done my best to reduce them down to bullet point form. Please feel free to share your thoughts on the various posting over the next week.